GYROKINESIS® is a flowing, 3-dimensional, circular, spiral, twisting and undulating patterns that characterize the system help to increase the functional capacity of the entire organism in a harmonious way. and developed by Juliu Horvath an ethnic Hungarian, professional dancer from Romania. Horvath suffered a series of debilitating injuries during his dance career, and began developing what are now known as the GYROTONIC® and GYROKINESIS® Methods as a way to heal himself and regain his strength and agility. Gyrotonic exercises are performed on custom-designed Gyrotonic equipment, whereas Gyrokinesis exercises are performed on a mat and chair. The motion concept includes the most important elements of yoga, dance and tai chi. GYROKINESIS® systematically and gently trains joints and muscles by rhythmic wavelike movements. The spine is considered the central supporting element which gains new flexibility by harmonic wavelike, spiral and circular movements. The corresponding breathing patterns stimulate the nervous system and open up the body meridiens thus releasing waste products and toxic substances that can be taken away by the oxygen-enhanced bloodstream. Gyrokinesis classes are 60-90 minutes long. Each class begins on a chair with a gentle warm up sequence to awaken the senses, and stimulate the nervous system. This is followed by a series of fluid spinal motions, which increase range of motion, and prepare the body to explore more complex movements with agility, and ease. Class continues on the floor with exercises that expand on the spinal motions, gradually adding more complex sequences, incorporating more movements of the hips, shoulders, hands and feet. The floor exercises are followed by a rhythmic standing sequence that incorporates balance, and cardiovascular exercises; then ends with a calming, unwinding sequence designed to prepare the body and mind to reintegrate with the every day world. When people start up with a new workout regime, it can be a little intimidating. The great thing about the Gyrotonic and Gyrokinesis methods and classes are that they focus on breathing and listening to your body. It takes the pressure off needing to lift a certain amount of weights, complete a certain amount of repetitions or beat a certain mile time. 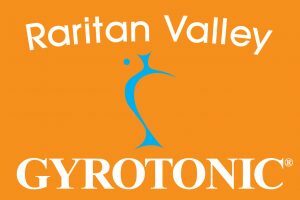 The Raritan Valley Gyrotonic, clients come from all around New Jersey and even New York to experience the calm, serene atmosphere that welcomes guests whether they’re looking to ramp up their workout routine or are getting started for the first time. Many of our classes even cater to Baby Boomers concerned with their fitness. No matter the fitness level, you’ll find that Gyrotonic classes will connect you to your body, and as you’ll see in the short video below, it all starts with breathing. We invite you to participate in our Gyrotonic classes to get connected with yourself (mind and body) and get into better shape (mentally and physically). Check out our schedule to join a Gyrotonic fitness class, view our rates, give us a call at (908) 288-7551, or stop by the studio for more information on breathing techniques and workout methods.